It is worth further examining the marketing angle here. To take a teleological approach and presume some “motive” for the de-cluttered aesthetic, one might ask, What does the corporate world gain by coaxing de-cluttering? 2. 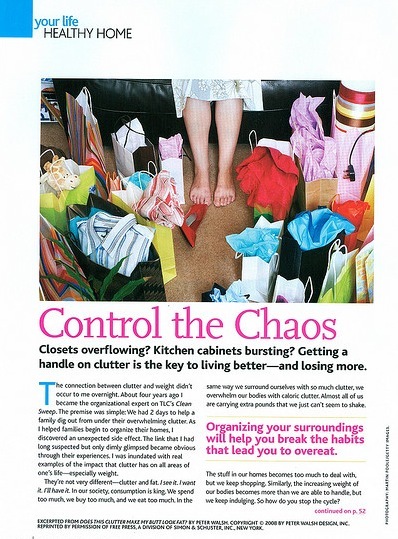 Suppose there are two types of people: those that accumulate clutter, and those that don’t. If the corporate world succeeds in de-cluttering those who are programmed to clutter, those people will tend to re-accumulate. The corporate world wins [$$]! Those that don’t accumulate clutter will have their egos stroked for being good citizens. For the shades of grey, the corporate world probably either wins or breaks even. It might be posited that the corporate world maybe doesn’t change anyone, really….